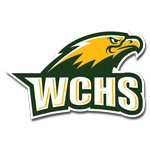 Wilkes Central Head Football Coach Ron Turner will be away from his team for an unspecified amount of time this season due to a recent medical development. Turner was diagnosed with a synovial sarcoma in his right leg over the summer. A synovial sarcoma is a very rare and aggressive form of cancer that often occurs near the joints of the arm or leg. Turner had his right leg amputated above his right knee on Aug. 2 due to the rapid growth of the tumor. He is now preparing for a week or two of rehabilitation but he said that the full amount of time that he will be away from the team is still up in the air. His hope is that he will physically be back this season but he will remain involved with game planning and is planning on watching a lot of film. His other duties have been spread out among his staff “One coach is handling the play calling for the offense, another is taking over eligibility and things like that,” Turner said in a phone interview. “Terry Johnson will speak to the media and will be answering phone calls for the head coach at the school.” The Eagles will be hosting St. Stephens and Hickory for a scrimmage tonight in Moravian Falls.